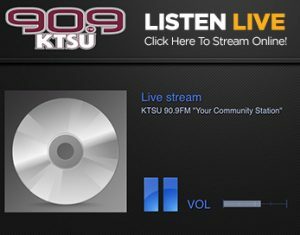 On June 23, 1972, the Federal Communications Commission (FCC) approved an application filed by Texas Southern University to establish an educational FM radio station (KTSU 90.9 FM) on the campus. Two of the main reasons for instituting the station were to provide a professional environment in which students could be trained in various fields of radio broadcasting and to increase the number of qualified professionals entering the broadcast industry. Those objectives complemented the FCC’s interest in ensuring that minorities were given their fair share of jobs in the broadcast industry. Under the leadership of the TSU Board of Regents and Dr. Austin Lane, the President of Texas Southern University, KTSU-FM is a major component of outreach for the university, providing the community-at-large with non-commercial schedules of public affairs programming, jazz, blues, R & B oldies, gospel, reggae, neo soul, zydeco music and other special programs 24 hours a day. 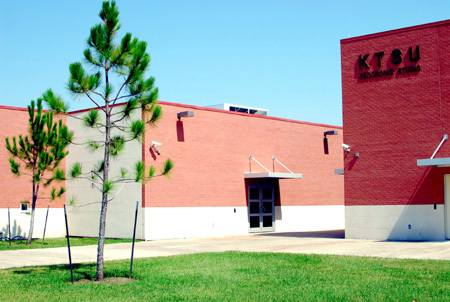 In addition, KTSU also serves as a training platform for students enrolled in the School of Communications. KTSU-FM is committed to maintaining the highest possible professional standards of program content by presenting the finest broadcast quality in the radio industry. The station strives to improve the quality of life for the university and the community by increasing an awareness of the beauty, richness and depth of our cultural heritage through the presentation of jazz and other musical features. In addition, KTSU provides listeners with thoughtful, thorough and well-balanced coverage of news, current events, personalities, educational, social and cultural issues that impact their lives through Texas Southern University and community-based programs. As a public radio station, KTSU’s mission is to implement partnerships with community organizations to advance and enrich the cultural life of metropolitan Houston, promote the resources and services of Texas Southern University and provide positive images of the university with programming of the highest quality. KTSU is committed to maintaining the highest standards of excellence in the community that it serves, the broadcast industry and to serve as a conduit for news and public affairs information.